When you need fast auto glass repair, choose the experts at Vector Auto Glass. No matter the problem, our highly experienced technicians can repair it for you. Windshield repair and replacement will be done quickly and conveniently and we will even meet you at your specified location to work on your vehicle at your convenience. We also work on side mirrors and windows, roll down regulators, and power and manual window repair services. Mobile services allow you to schedule windshield replacement or repair at your convenience, at your home or office. Our fast and efficient technicians remove the entire windshield and reinstall a new one, using Original Equipment Manufacturer quality glass for your safety. In addition, we only use OEM approved primers and adhesives used by original vehicle manufacturers. You receive a full written warranty for the lifetime ownership of your vehicle. Most windshields cost approximately $200 for the new glass and installation. The exact price you are quoted is the exact price you pay. If you have comprehensive insurance to handle the payment of the windshield, we will be happy to submit the claim for you. Even if you have a small chip in your windshield, weather changes may cause the chip to spread, leaving you no choice but to replace the entire windshield. Small cracks affect the structural integrity of the glass, posing a hazard to you and your passengers, as well as causing a visual distraction in bright sunlight. Contact us to have your chip repaired at your location. 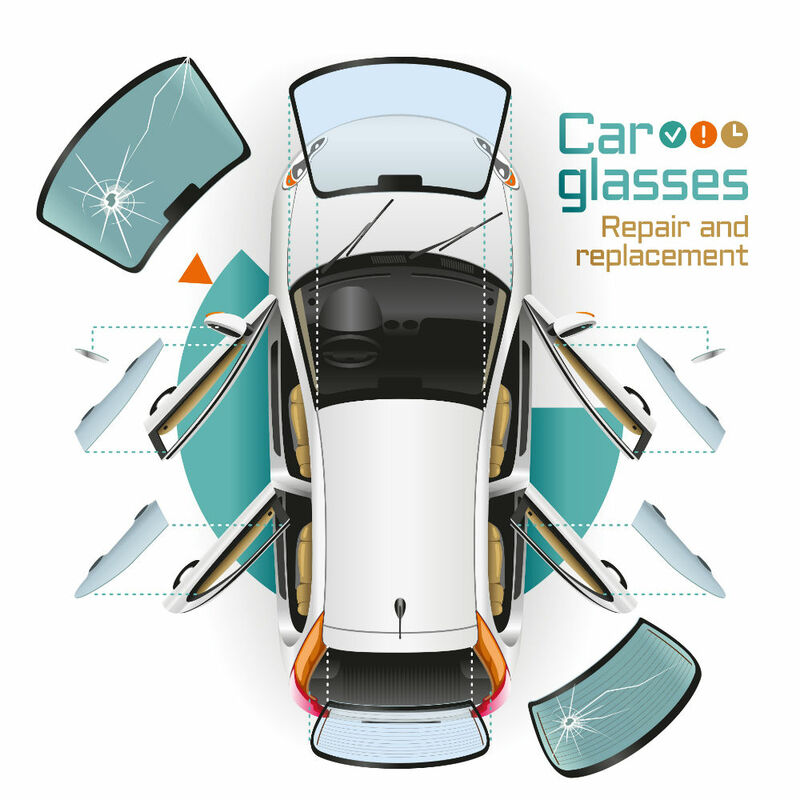 We repair and replace all auto glass in your vehicle, including side windows, quarter glass, and back glass. We will vacuum and clean your car of any broken glass during replacement to insure our customers of a complete and professional experience.